Over the last decade, programmatic marketing has put data at the very core of marketing strategy. In this world, marketing is automated and algorithmic, enabling dynamic decision-making based on real-time data and delivering results that are readily quantifiable. But there’s a negative flipside – the rise of this type of e-marketing has led to real consumer frustrations with digital overload, irrelevant content and ethical abuses of data. Over-zealous online re-marketing can make consumers feel like they’re being stalked, and intrusive contextual advertising and pop-ups are provoking an inevitable backlash, enabled by ad-blocking tools. In Asia, arguably the most sophisticated market for digital marketing, growing numbers of users are installing ad-blockers to declutter and streamline their online experiences, and the trend is gathering pace in Europe and the US. In marketing circles, the conversation is increasingly focused towards ‘addressable’ marketing. The emphasis is shifting away from targeting based on simple audience segmentation and towards true relevance and engagement. This puts the all-important emotional quality back into marketing, acknowledging that the most effective campaigns blend in-depth customer insight with messages that speak to consumers as individuals, not simply as target audiences or data sets. Of course, the advantage of the digital marketing age is that these consumer insights are real and unique, based on each customer’s personal profile, their individual journey with the brand in question, their reaction to specific marketing touchpoints and their purchase history. Brands that understand the importance of addressability will focus on reaching the right audience, at the right time, with the right message. When this happens, customers are likely to be far more receptive to marketing messages, providing a solid foundation for positive brand experiences. Most marketers understand that print can be one of the most effective marketing channels when trying to engage consumers emotionally. However, this may tend to be clouded by the idea that print involves lead times that mean it can’t possibly be as dynamic as digital and that personalisation starts and finishes with a few variable data fields such as name and address. This view is seriously outdated. Those of us in the digital print sector know that with today’s automated production workflows, digital print-on-demand challenges all received wisdoms about production breakeven points and turnaround times, and that true personalisation can do far more. What this means for marketing is that printed campaign assets can be created, printed digitally and distributed in very short timeframes, giving the immediacy of digital marketing a run for its money. But the unique opportunity for brand owners lies in the ability to capitalise on this short time to market, individualise content – including text and images – based on detailed data insights, and leverage print’s undisputed capability to engage an emotional response from the consumer. I’m talking about ‘programmatic print’, a proposition that combines the immediacy and the data-centricity of digital marketing with print’s capacity to cut through digital noise. Compared with intrusive digital formats, well-targeted and relevant print is positively welcomed by consumers and is proven to drive engagement and response. Programmatic, or ‘triggered’, print works to the principle that everything that can be personalised online can be personalised in print, with measurable consequences for the brand. This is no ‘blue-sky’ future vision: there are real print businesses today who are already proving this concept, taking client’s digital data and producing printed marketing communications almost in real time, enabling activation in a 24-hour window. The results for brands taking this route are impressive; elevated response rates, improved sales conversion and increased return on advertising spend. One example is Canon customer Eversfrank, a specialist in direct mail, catalogues and magazines whose ‘Drookies’ solution (‘druck’ is German for print) blends real-time data and print to re-engage digital customers who have lapsed or dropped out of a digital buying journey. A specific example is the ‘abandoned basket’ scenario, where the customer falls at the final hurdle, selecting items to purchase but failing to proceed to checkout. Eversfrank takes the client’s data for these customers and sends a personalised direct mailing within 48 hours of the missed transaction, nudging them to proceed with the purchase. For clients like retailer Bonprix, the uplift in sales is measurable. The beauty of programmatic print is that the content is completely individual to the recipient, so they’re much more receptive to the message. The blend of transactional data, customer insight, content and the medium of print delivers cut-through with the consumer that simply can’t be achieved with an email or SMS prompt, which is easy to delete. And the programmatic principle is not limited to direct mail. For example, Eversfrank is using individual customer data to digitally print personalised covers for offset-printed catalogues. As Henner Dose, Business Manager, Professional Service and Digital Print at Eversfrank expresses it: “more relevance equals more response, equals more turnover”. 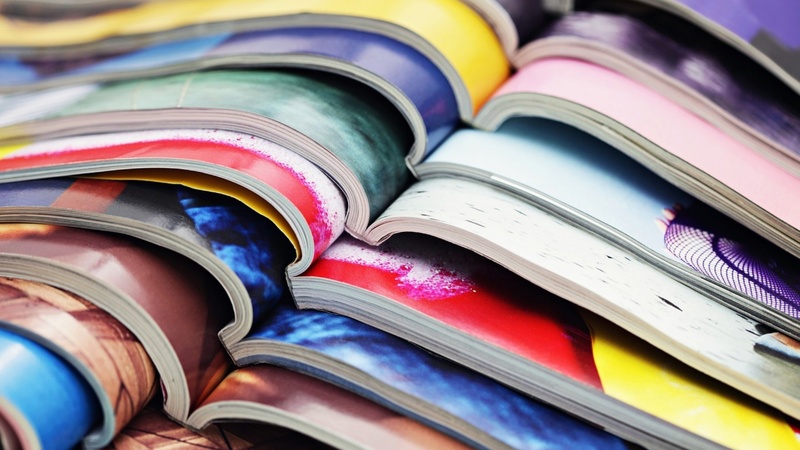 As data analytics becomes more sophisticated, programmatic print can also raise its game. The Eversfrank team is already looking at how prices, content and incentives can all be individualised, driven by rich customer data. One piece of the vision is for catalogues that are completely tailored to the customer, based on their profile and buying history. The enabler of programmatic marketing has been the exponential rise in data processing capacity and more sophistication in marketing automation. In the same way the increased capability, quality and productivity of high-volume digital print, supported by improved end-to-end workflow automation, will be the foundation for growth of programmatic print. Effectively, the arrival of commercially viable, high-volume, high quality colour inkjet and the supporting automated workflows means that micro-targeted print using individualised content is now a real proposition for premium brands who are marketing to large sets of data. The rise of programmatic print and the measurable ROI it delivers for brands is part of a wider revival of print as consumers turn away from digital. Marketers who pursue digital-only strategies neglect a powerful and persuasive channel for customer communication. With the ability to produce high quality, individually targeted direct marketing assets in a 24 hour timeframe, brands can finally devise data-driven campaigns that blend the best of the digital and the physical to deliver a better commercial outcome, and a better experience for the consumer.